Arthritis is a condition from which many people suffer, but very few people seek natural arthritis pain relief treatments. Most doctors will proscribe medications to help you cope with arthritis pains, insisting that the only thing you can do is to dull your pain as much as possible and get on with your life. This is not the approach we take here at Caron Chiropractic. At our center, every patient we see is offered natural pain relief treatments, even for chronic conditions such as arthritis. Chiropractic care, including massage therapy pain relief, has extremely beneficial effects, which has moved chiropractic care out into the limelight in recent years. More and more, medical professionals and those suffering with arthritis pain are realizing that chiropractic care is a legitimate and effective arthritis pain relief solution, and massage therapy is right there alongside chiropractic as part of a holistic approach to healthcare. If you’re suffering from arthritis pains and want a medication-free, natural pain relief solution, look to chiropractic and massage therapy. We’ll help you not just dull your pain but hold it at bay until your next visit, ensuring that you live as pain-free a life as possible, despite your arthritis. Chiropractic adjustments can have many positive effects for arthritis patients, especially when considering the extent to which chiropractic care can be utilized. We offer spinal adjustments and extremity adjustments, which means that we don’t just treat your back; we treat any area of your body that’s in need of relief from arthritis pains. With a spinal adjustment, we realign your vertebrae, ensuring better circulation and releasing tension in your neck, back, and shoulders, which can have a positive impact on your entire body. When your back is aligned, you walk better, have a better range of motion in your neck, back, and shoulders, and that means that the rest of your body will be less tense and less likely to succumb to inflammation caused by arthritic joint pains. Extremity chiropractic adjustments are more localized adjustments, focusing on correcting the alignment of your limbs to ensure that your joints are relieved of as much stress as possible. Although misalignments are not the cause of your arthritis pain, and therefore we can’t offer you a lasting arthritis cure, we can help to diminish the symptoms of arthritis, reducing inflammation, easing joint stiffness and tension, and helping improve range of motion with better alignment. In addition to chiropractic care services, we offer massage therapy, another effective means of treating arthritis pains for lasting relief, though still impermanent. Massage therapy is an effective pain relief technique with many uses, and that’s why we offer a wide variety of massages, each geared toward a different type of treatment, including pain relief, tension reduction, and even simply relaxation. Although all of our massages would help to relieve arthritis pain, we recommend deep-tissue massages for relieving deep-set, chronic arthritis pains, as a deep tissue massage reaches muscles that can be inflamed and irritated by arthritis joint pains. We’d also recommend a trigger point massage, which uses deep tissue massage techniques in a more localized way, providing pain relief and reducing tension in specific parts of your body that need extra care, as is the case for many arthritis patients. Between chiropractic care and massage therapy services, an arthritis treatment plan at Caron Chiropractic is meant to be a holistic approach to arthritis pain relief. With our natural arthritis pain relief therapies and care, you’ll find that you won’t rely on your medications every day to dull your pain; you’ll have an effective pain relief regiment that’s all-natural and more effective at treating arthritis pains head-on. 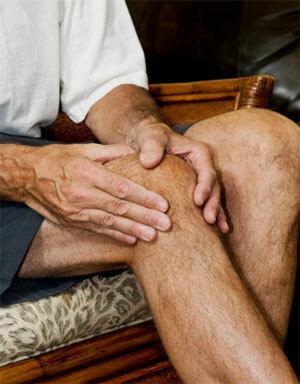 Rather than simply numbing your pain with pain killers, temporarily reliving inflammation with anti-inflammatories, or forcing your body to destress with muscle relaxers, we provide a natural solution for any arthritis pain symptoms you might be experiencing, helping you get off of your medications so that you don’t feel like you’re using mediation as a crutch for pain relief. Live a life that’s not just less painful; live a life that you can be happy with. Take the next step in your arthritis pain treatment, and begin a natural arthritis pain relief treatment plan at our center. We’ll provide targeted chiropractic adjustments and massage therapy to improve circulation, reduce inflammation, relieve stress and tension, and improve range of motion, something you likely struggle with in your daily battles with arthritis. In addition to our massage therapy and chiropractic care, we’ll also create an arthritis treatment plan that will help you live a more pain-free life, no longer ruled by your arthritis pains. We’ll create an exercise plan designed for your body that can be done at home, helping you stay active and pain free as much as possible between your chiropractic and massage therapy appointments. We’ll also help you in making any lifestyle changes that could be beneficial in treating arthritis pains, such as altering your posture and changing your work habits. 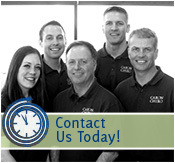 Call Caron Chiropractic today at 651-255-9999, and find out how we can help you manage your arthritis pains with a chiropractic arthritis pain relief treatment plan.